The below cover was just approved by the Fortress Press editors. 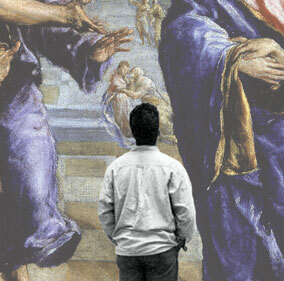 The original image is a man staring at a blank canvas (“modern art”). 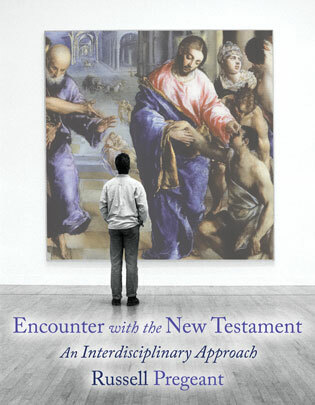 This is an academic textbook with a desired “approachable” feel, so I wanted to focus literally on an encounter in the NT—in this case, Jesus healing the blind man—while avoiding Biblical-cover cliches and retaining a contemporary feel. I unified the two images from there for an effective composite. I was happy with the result and so were my editors! Christy I am so jealous that you get to do this all day long! Good work. You’re awesome! I think that’s such an amazing idea! How can I be as clever as you? SO AWESOME! YOUR BEST YET! YEAH!